Reciting, studying and analyzing great poets is part of the fabric of Afghan culture. It’s a medium that is experienced and appreciated by the educated, but limited in access to over 65% of the population who are still illiterate. Landay is a form of folk poetry, usually couplets, mostly created by and for people in villages, provinces and areas without access to formal education. Traditionally, landays are sung aloud, often to the beat of a hand drum called dayra. I believe this is the first formal book of landays that has appeared in the west. Landays are beautiful in that they explore the every day trial and tribulations of the women in rural Afghanistan. 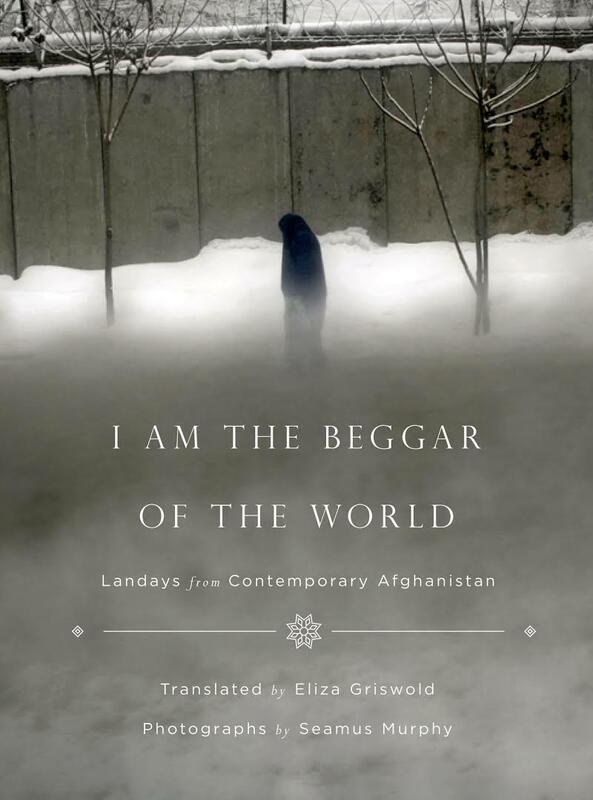 Below is a review of this book by poet Tess Taylor, who feels that this book gives a rare glimpse into Afghan lives. I AM THE BEGGAR OF THE WORLD can be purchased on Amazon.